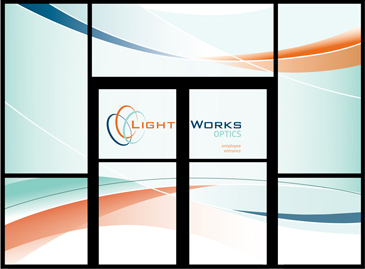 Lisa with LightWorks has a great vision of developing the LightWorks corporate brand throughout the whole building. This is the beginning of finalizing the comps and developing the final art. Here’s the front and back entrance windows.